The Coniston & Crake Project is working with landowners and householders to try and reduce the amount of phosphates and pollution entering our local becks, the River Crake and Coniston Water. 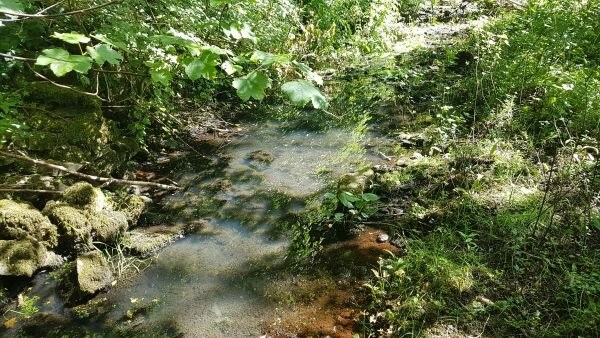 Through our conservation work we are reducing diffuse pollution from agriculture and hope to do the same for households not on the main sewage networks. All of these are types of sewage systems used by households and businesses who are not connected to public mains sewage networks. Septic tanks and package sewage treatment systems work to break down waste before discharging treated liquid through a drainage field and should be emptied annually, or every other year depending on the size of the household. Cesspits are just a holding tank which needs to be emptied on a regular basis. All of these systems should be properly maintained and checked for problems such as blockages, leaks and smelly discharges. If your system discharges directly into a ditch or watercourse then you must upgrade your system by January 1st 2020. You should also use licensed contractors to empty your tanks, to ensure that the waste is disposed of correctly. You can request a certificate from your waster carrier to show this. The project is helping to co-ordinate local schemes for group emptying to encourage responsible tank ownership. If you are in the catchment and would like to know more then please get in touch. You can also take a few simple steps to maintain your system to protect our rivers, seas and wildlife. Do look out for signs that your drainage field may be clogged up. Is the area spongy or has lots of lush vegetation? DO flush only the 3P’s – pee, poo and paper. Never flush wet wipes, cotton buds or sanitary products. Remember – a happy tank means a happier environment! 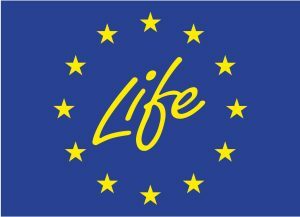 We’re grateful for the support from the LIFE Natural Course programme to help us tackle rural diffuse pollution.